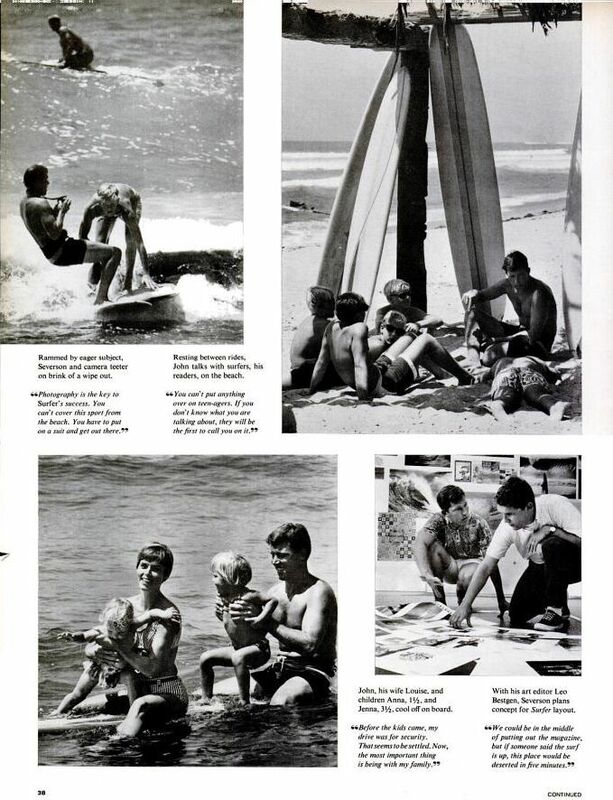 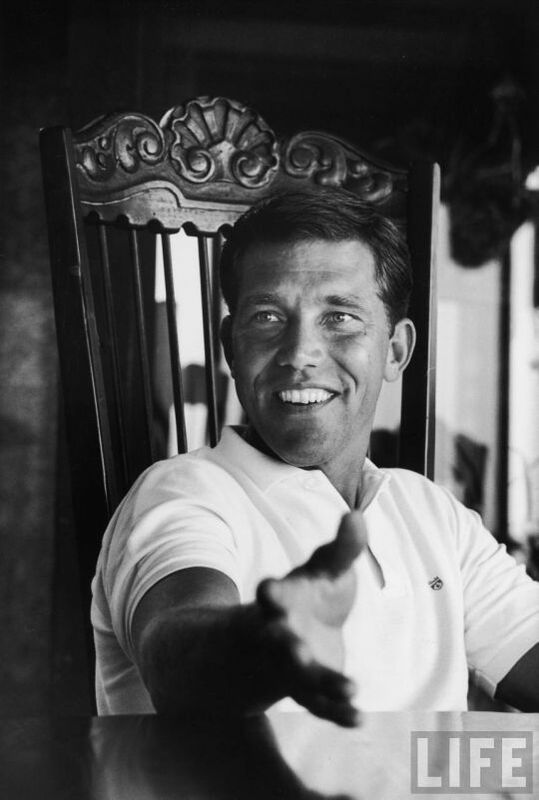 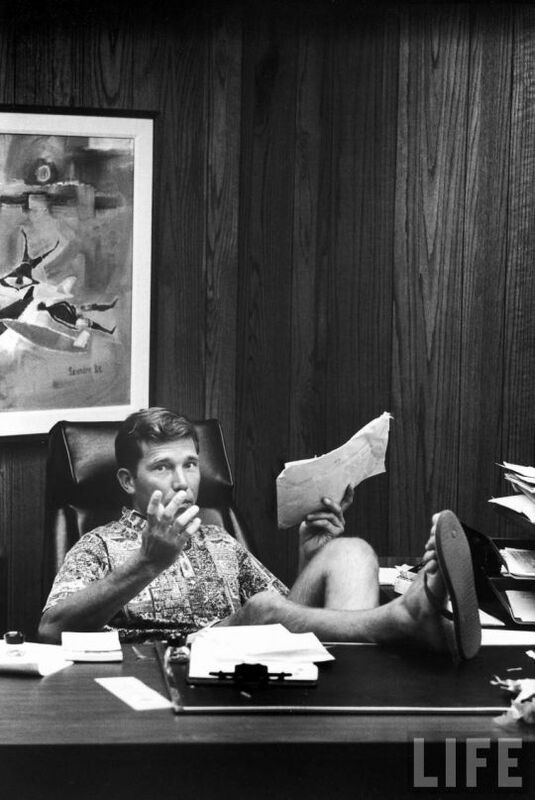 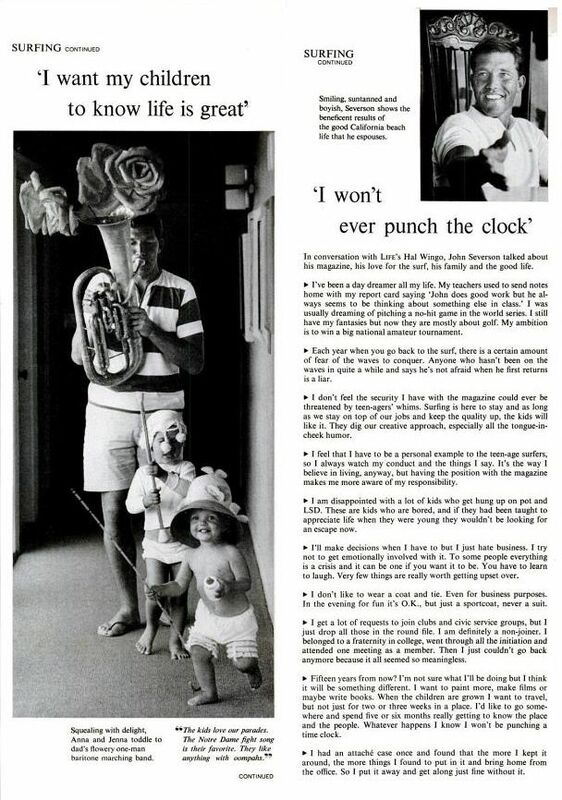 John Severson, founder of Surfer magazine, shares with LIFE magazine his views on work, success, and family in 1966. 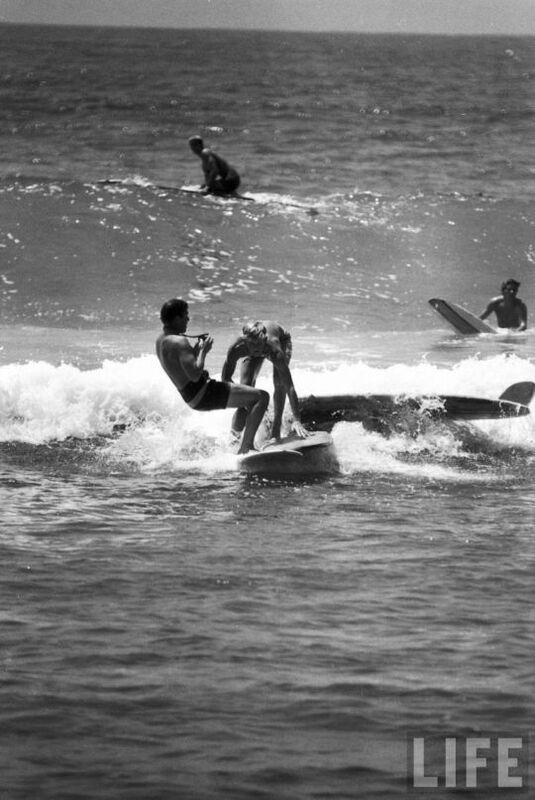 Source: LIFE. 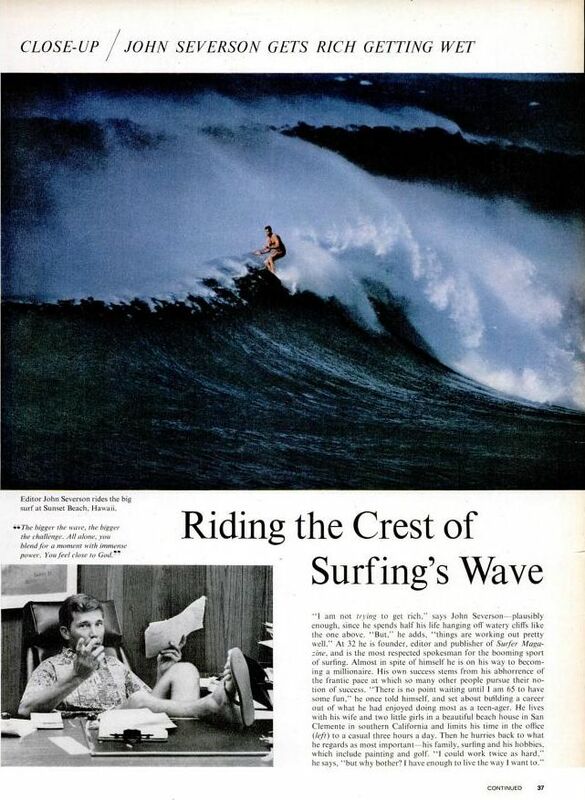 You can also see some of his artwork on surferart.com.